At the same time as Jimmermania was spreading across the nation during BYU's remarkable 32-win 2010-11 season, the kid who'd have been the starting small forward on that team was 7,000 miles away in a country he knew little about a few months earlier. 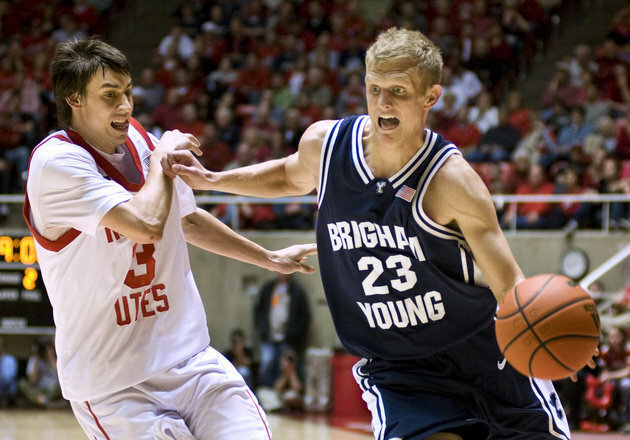 Tyler Haws admits he sometimes thinks about whether he could have helped that BYU team go even further than the Sweet 16 had he been there to help on the floor rather than getting weekly updates from his dad via email. Nonetheless, the 6-foot-5 sophomore feels he made the right decision taking two years away from basketball to serve a Mormon mission in the Philippines.